The Arab Aquarius: Hangover is Dangerous! Such a fun and playful ad by PROVID ad agency in Kiev, Ukraine. I absolutely love it! 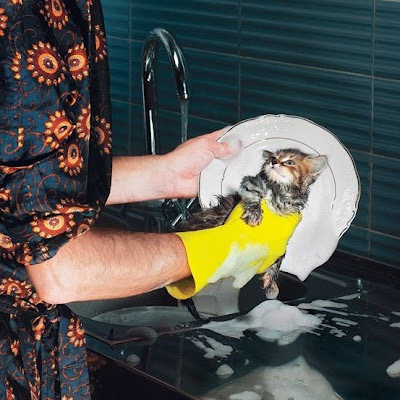 The print ad for Alka Seltzer illustrates that "hangover is dangerous" by showing a guy who obviously had too much to drink the night before using his kitten as a sponge to wash the dishes! Creative directors Benoit Schmider & Kirill Chichkan, art director Sergey Kozhevnikov and photography by Andrey Chursin.